This month's session is hosted by Brewpublic and asks the question: Why do you blog? What's the point? Why do we do it? Well the answer to none of those questions is 42, however it is much much simpler than that. The answer is CH3CH2OH... no just kidding, though that does help. We, or at least I, and I suspect most others do it because we simply love beer. Specifically we love good beer, beer that has been lovingly hand crafted. Beer that is local to a community and is not some faceless factory turning out a product at the push of a few buttons. I simply love good beer. I love the complexity and I love sociability of beer. Today* I am heading to cork, so adding to this post while on a bus (07:15) to Dublin in order to get a train to Cork. Why you may ask? Well because there is a beer festival on. Why else? A beer festival has the same answer. Why go to a beer festival when I can sit comfortably in a pub and drink all I like? The answer is that at a festival, more so than a pub, I will meet like minded people with a passion for good beer. It also helps that the breweries themselves will be there to talk to as well as with new and one off brews sometimes. I'm doing it in one day so will be back in Westmeath sometime after 1am. That's dedication I think. Another reason to go to the beer festival is of course for material for my blog. I don't always blog about beer festivals but I do for many of them that I attend. The epitome of why I blog can be found web attending the beer bloggers conference. I attended last year and if ever you needed motivation, here it was in the form of how much respect we got from breweries. Not just the small breweries either. Small breweries pretty much rely on beer writers for promoting their beer. It was interesting to see such a mega brewer as molson coors encouraging us and even though we don't usually blog about their core range of beers, we enhance the industry as a whole and keep the world focused on beer, a declining product in many countries. And that's why large companies like Molson Coors are happy to sponsor the conference. It also helps that we have nice things to say about their smaller brands like Sharp's and Worthington White Shield. A good thing about being a beer writer is that it opens up avenues with brewers that I might not have otherwise. I spent the day at Easterfest in Cork yesterday*, my favourite beer festival of the year and while some of the breweries were absent this year, The Northern breweries in particular, I do think that this year was possibly the best and most exciting Easterfest I have been to. I had a great time talking to as many brewers as I could about their beer, with brewers giving me freebies (always nice) and generally just being really down to earth people who love to talk about their beer. You can expect my report on the festival tomorrow. So why do I write about beer? I think the answer is pretty obvious if you have read this whole post. I do it because love beer and want to promote good beer as much as possible because the little guy has no one to promote them other than people like me. * This post was written over the course of a few days if you didn't get that. Interesting and inspirational stuff! It's encouraging to hear that there are breweries that aren't dismissive of bloggers' work. Engagement all across the board has to be a good thing. Thanks Gareth. You should look into coming to BBC12 It's in Leeds this year. I'd have liked to, but it's my daughter's first birthday that weekend and, at the risk of stating the obvious, she's not having another one of them. Hopefully next year, money permitting. 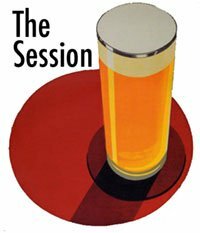 The Tale Of The Ale: The Session #62 - Why I write about beer.